Stinger mounted magnetometry is done with airborne magnetometers and are used to detect magnetic anomalies in the Earth's local magnetic field. The anomalies may be an indication of concentrations of ferromagnetic minerals in the Earth's crust and may be used to visualize the geological structure of the upper crust in the subsurface, particularly the spatial geometry of bodies of rock and the presence of faults and folds. This is a particularly useful tool for geological mapping for the areas where bedrock is obscured by overburden or water. 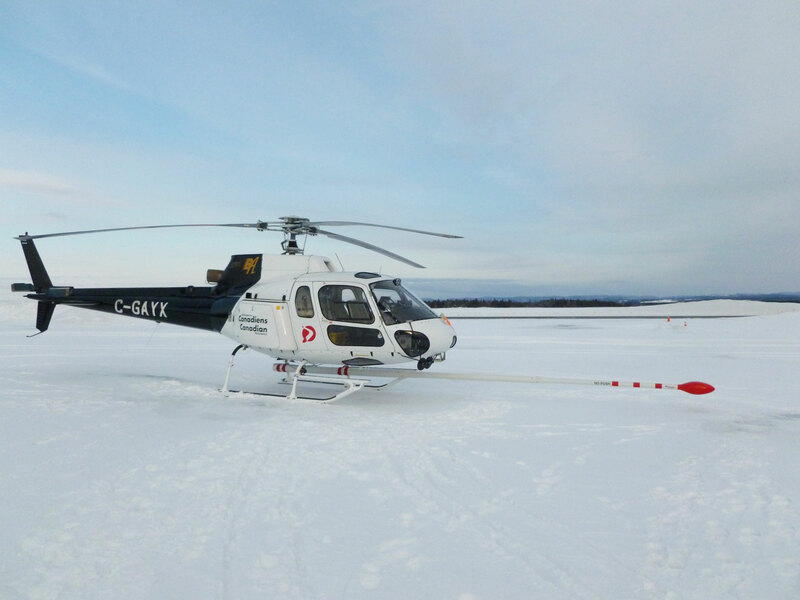 For this survey, one (1) Geometrics G-823A (optically pumped caesium vapour) total magnetic field sensor with a sampling interval of 0.1 second was installed at the end of the 9 meters extremely rigid long boom installed on the skid pointing forward of the helicopter. The magnetometers include the well proven high performance G-823A sensor with the small size CM-201 Larmor counter. The magnetometer sends the measured magnetic field strength as nanoTesla (nT) units directly to the data acquisition system via a RS-232 port. It provides unmatched versatility of performance, size, function and cost effectiveness.The AARC500 real time magnetic compensator receives the raw signal and the aircraft’s attitude in space from a flux gate then sends the raw total magnetic field, compensated total magnetic field, and aircraft’s attitude to the acquisition system in nanotesla (nT) units through a RS-232 cable. This system has been selected since it provides unmatched versatility of performance, size, function, and cost effectiveness. To calibrate the real-time compensator, a FOM test must be carried out. 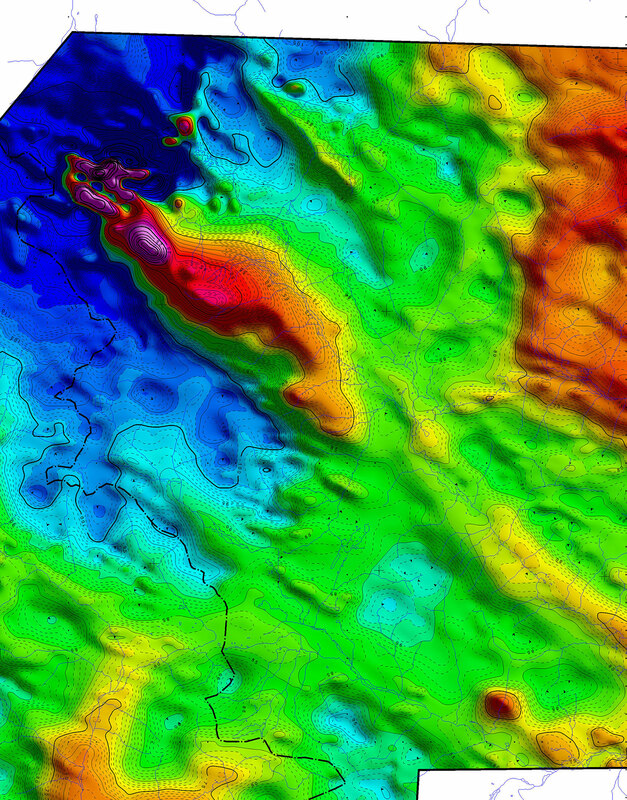 A low magnetic area in the survey perimeter is selected for a FOM compensation flight. Six (6), + 10o roll, + 5o pitch, and + 5o yaw manoeuvres is executed in each cardinal directions and most totalize less than 1.5 nT. The resulting recorded magnetic data allows the AARC500 to build a digital model of the magnetic attitude of the aircraft, without the local magnetic composition of the Earth. One can remove the magnetic noise due to the aircraft’s attitude calculated with such a model.